This is a powerful desktop application that allows teachers and students to do a range of different things, including writing text books, creating and sitting assessment as well as making Powerpoint-like presentations. 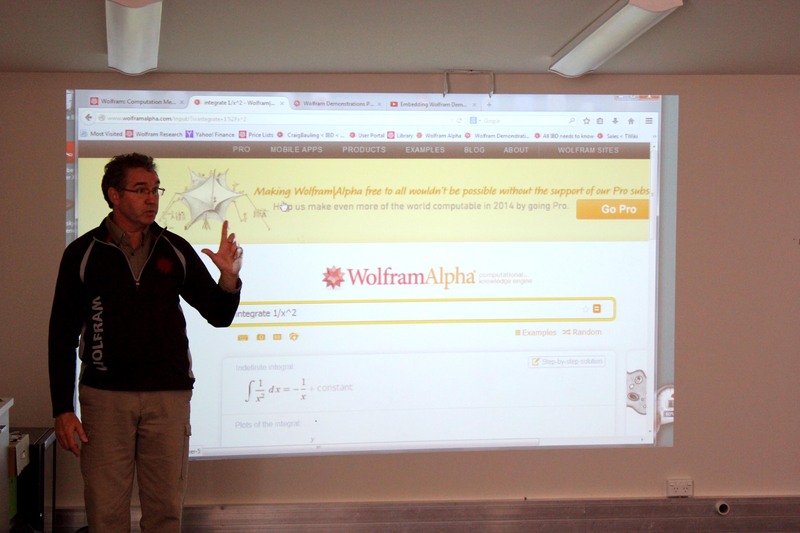 It utilises the power of the cloud based WolframAlpha to return some results / graphing abilities, and one of the key strengths is students can enter questions in “natural language.” The programme then interprets this and formats it into the correct syntax for Mathematica to complete the equation. This makes it very easy to learn, and there are a number of “palettes” that guide teachers or students through the correct syntax of more advanced formulas. 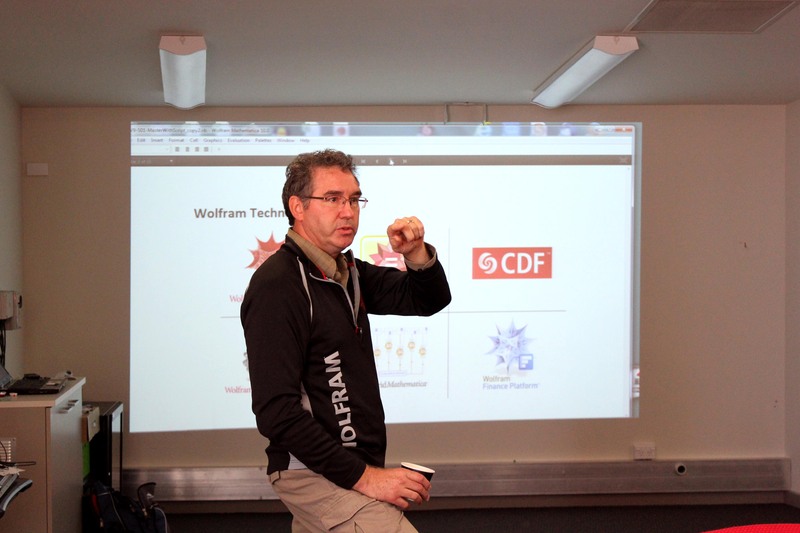 The state of Victoria, Australia, has provided Mathematica to students from Yr4 up in schools to help them across all curriculum areas, not just Maths (Craig said Physics and Chemistry are the biggest users of Mathematica, followed by Maths, but English and Social Sciences also make use of it). Possibly this was the one tool that most of the teachers attending had been exposed to before. Rather than functioning as a search engine like Google or Bing that traditionally return thousands of pages that might contain the answer to your search query, WolframAlpha tries to provide the actual answer to your question. 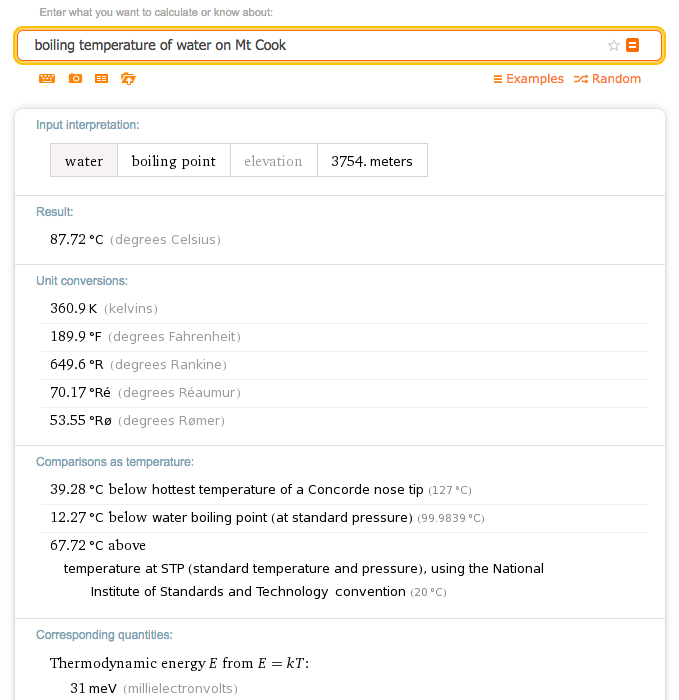 One of the examples given was “What is the boiling temperature of water on Mt Cook?” Pulling on information stored in the databases WolframAlpha has access to, it knows both the height/elevation of Mt Cook, and the scientific principle of how elevation affects boiling temperatures. It returned: What was neat to see was the results returned in the metric system – using Geo-IP technology, it knew we were in New Zealand and returned results accordingly. The interactive nature of these models, where students can manipulate the input or data, make them perfect for embedding into a Moodle Forum or Assignment activity, allowing students to submit answers directly into Moodle without needing to use any other software. 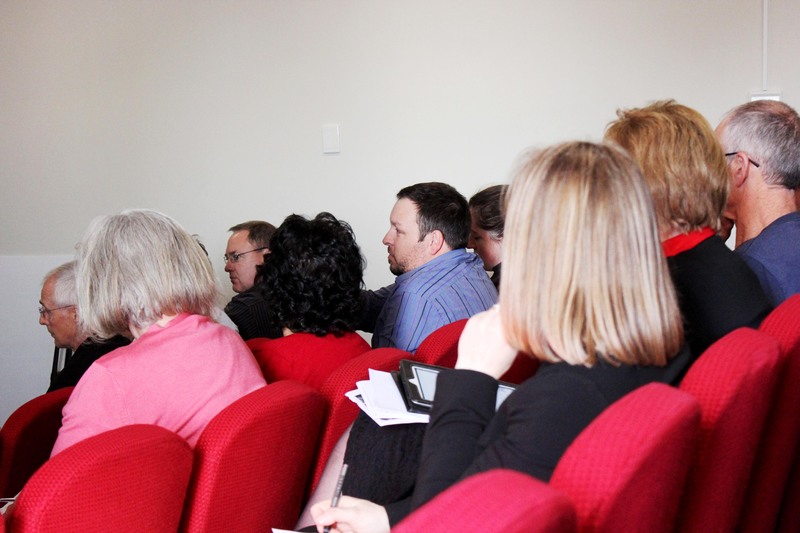 The feedback from the teachers that attended was very positive about the session and I am sure that many will go away and look at the free products and also evaluate whether licensed products are purchased for teaching staff and/or students. This entry was posted in Maths, Science, Technology and tagged blog, Canterbury Maths Association, CDF, Chemistry, CMA, Education, Embedding, Information and communication technologies in education, Learning management system, Mathematica, Maths, Moodle, Pedagogy, Physics, Professional Development, Science, Secondary School, Technology, Training, Wolfram Alpha, Wolfram Research, YouTube by Sam McNeill. Bookmark the permalink.